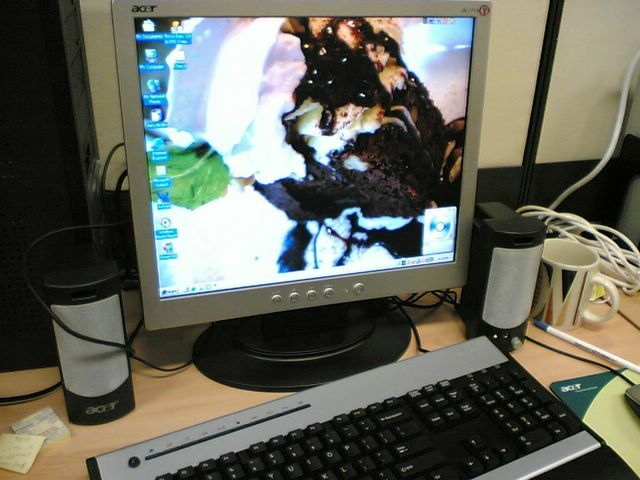 my desktop at work. notice my wall paper? Which is your favourite meal of the day? Breakfast, Lunch, Tea, Dinner or Supper? I’m sure most would choose the latter two. I think it’s all skewed. I mean, we’re told to eat the most for breakfast, alot for lunch, and the least for dinner. But if you go back and recall what you ate yesterday, i’m sure you’ll find that dinner was heavier than lunch and breakfast. Nutritionists and dieticians will tell you that it is crucial to eat plenty of nutritious foods in the morning (that includes carbs, fibre, vitamins and what not) because you’ll need the energy to get you through the day. 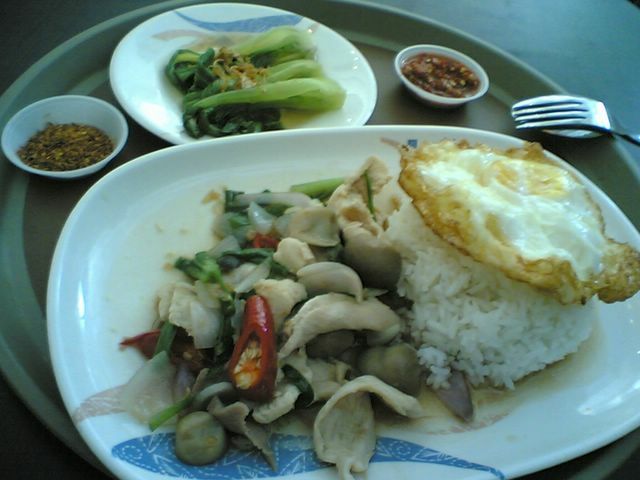 And of course, for those keen on losing weight or staying trim, would be told to eat lesser during dinner especially. Thus, suppers and late-night pratas are out. I do think that’s kind of sad. It’s not far! I mean, look, people usually meet up with friends after work during dinner and it’s only natural to eat delicious (and sometimes sinful) food. So who cares about having to eat lesser during dinner? No one, really. Well except those who can’t stand having an ounce of flab i guess. I’m honestly one of those people who do it all inversely too. Or rather, I used to. I find myself getting hungry at night and always open the fridge and cupboards in search for some munchies. That’s bad I know… trust me, haha i can tell the difference. I notice when I omit supper from my daily food intake, i’m less ‘wide’. it’s all in the science my friends. our metabolism slows down at the end of the day and night is the time where we’re all supposed to be sleeping, so eating that pack of chips or devouring that hokkien mee and rojak ain’t gonna do you no good. OK, before I sound like a long-winded mum, i’ll just have this to say, a healthy lifestyle is crucial. EVERYONE wants to look good, everyone wants to live a life sans illnesses that plague them and I doubt anyone wants to die young, or ahem from a heart attack. I might sound harsh here, but hey, that’s the blatant truth. All right, yes, I’m a veggie lover and I cannot live without my fruits. I eat fruits every single day. Yes, perhaps that’s why I don’t fall sick that often? I usually blend them together and just drink it up. By the way, I eat up the fibre too. I don’t believe in drinking just the juice! it’s a real waste. Me dad just bought this beautiful blender from Philips and I’ve been using it. Go try blending natural yoghurt with banana and papaya or any fruits.. it’ll definitely taste fab. But alas, though I love my fruits and veggies, I also love getting my regular sugar fix. Yes, i’m a chocolate fanatic and I have a sweet tooth. And as you can see by what I bake, I have an affinity for baked goods too. Cookies, cakes, biscuits, desserts and all are so my thing! I cannot resist some good Ben & Jerry’s or Haagen Daaz. If you ask me to choose between eating the main course and just having dessert, heck, I’ll just take the dessert, any time, any where! That’s how bad / or good, it is. hahaa.. so it’s a win -lose situation. That’s why I think I do contradict myself sometimes. But hey, I do think it pans out well. After all, I can’t just live on fruits and veggies alone can I? I’m no vegetarian but i admit that I can live without meat. I’m not that much of a carnivore, although, yes yes, i love a good rack of ribs (the ones at Billy Bombers & Kenny Rogers rocks) but I can easily abstain from them by choice. For the past two months or so, I’ve been eating out alot. That’s because of my temp job at one of the telcos here. The office is in town, therefore I have so many choices. That makes it even harder. And you know how hard it is to eat healthy when you’re dining out. But it’s fun anticipating what to eat for lunch everyday. Here are some of my favourite picks from my lunches that I’ve eaten for the past weeks. 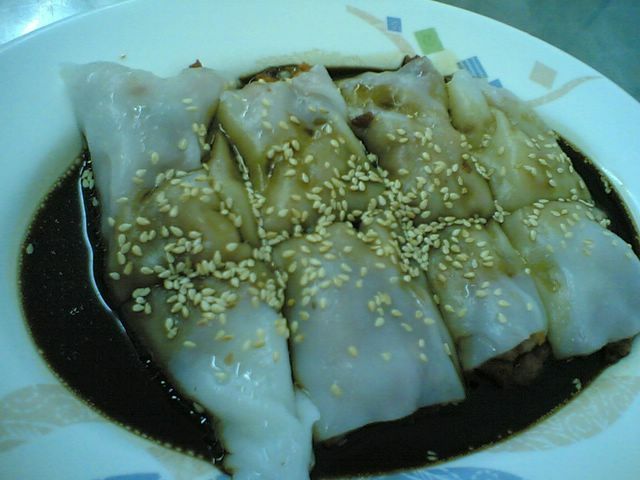 Handmade ‘char siew’ rice rolls ($3.50) from Killiney Road. Highly recommended. 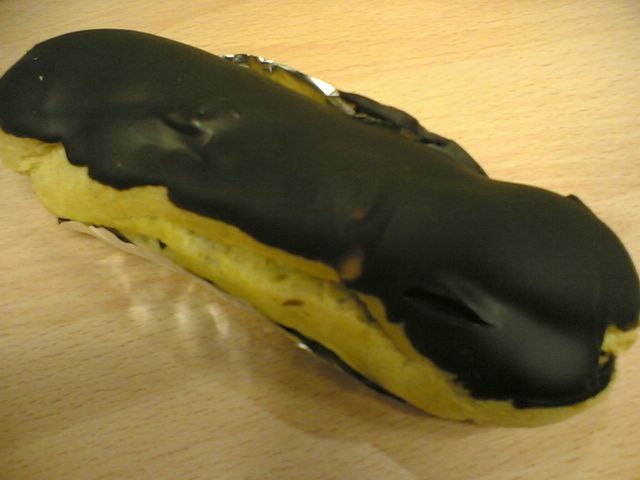 The skin is thin and it melts in your mouth! 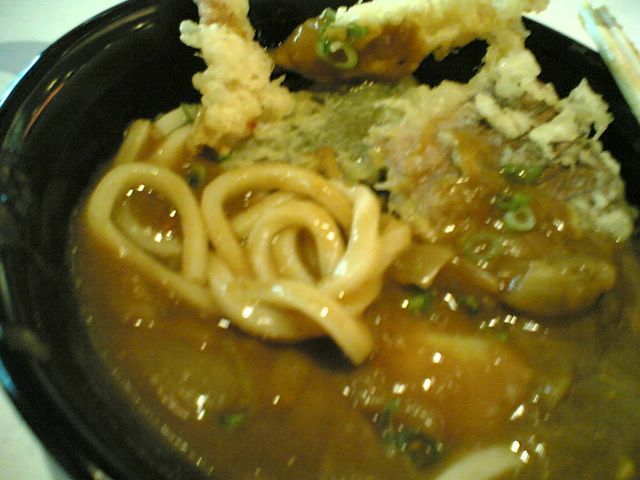 Curry and Tempura Udon from Sanuki Udon (their udon is handmade) – avail. at S11 cuppage and Scotts food court. 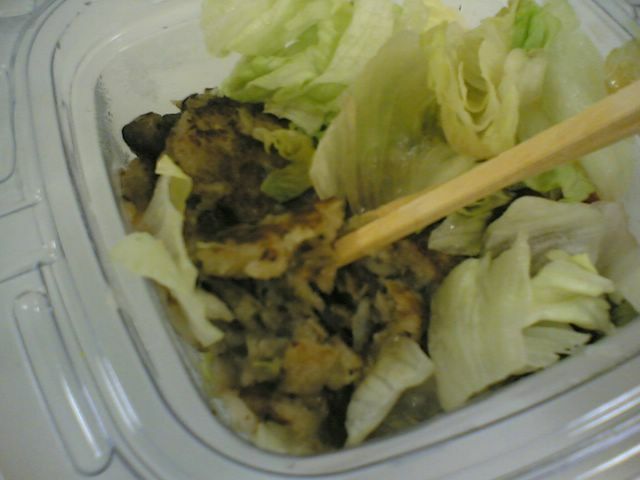 As you can see from my sample of lunches here, I try to eat as healthy as I can. Most of the time, I just order yong tau fu from this amazing ‘Orchard Yong Tau Fu’ stall. It’s just inside Cuppage Plaza, at the corner. It’s always packed. And there’ll be a long queue waiting religiously during lunch time everyday. it’s cheap too. 8 pieces for $3.20. and I love the soya beans that they add to the soup. Allrighty, that sums up my discourse about lunch. hahahaa…. i always thought of lunch as being the most boring meal of the day, but then again, I think I thought wrong. I’m a convert. Lunch is so my thing now. Breakfast and Dessert, all the way! Wait… does dessert count as a meal? been following your post for awhile and i really luv all the pics of all the food that you have cooked/baked…you seem to have most of the local food that i missed very very much. hope that you will be able to do your postgrad in London…n now that i remember, my former college used to be next to Le Cordon Bleu. p.s. haha we should have a makan session some time since we share such similar food preferences! I haven’t seen how Le Cordon Bleu looks like unfortunately. Do you have a photo? ermmm, cant really remember how the building looks like but it was quite normal looking, with just the signboard hanging outside. if i am somewhere around that area, i will take a snapshot of it. I like char siew! Too bad they don’t have them in Manila, where I live!